“You know how bands get a difficult second record? We got a difficult fifth record,” says Steven. “There couldn’t have been anything else against us, the whole damn time – starting with ourselves.” Remarkably, though, Laura’s broken arm proved to be a blessing in plaster-clad disguise. Leaving her unable to play guitar, it prompted the longtime-guitarist to pick up a keyboard, and sing more than she ever had before. Through mishap and misfortune, the songs that came out of the sessions were the duo’s light at the end of the ever-expanding tunnel. They decamped to L.A. to record with Nick Launay (Yeah Yeah Yeahs / Arcade Fire / Nick Cave and the Bad Seeds). He pushed them to explore these new worlds even further, and as such the the after-effects of Laura’s motorbike tragedy can be heard throughout Get Tragic – more melodic and synth-led than any of the band’s records to date, it embraces electronics and nuance in a way their stripped-back and stomping two-piece rock sound of old never could have. 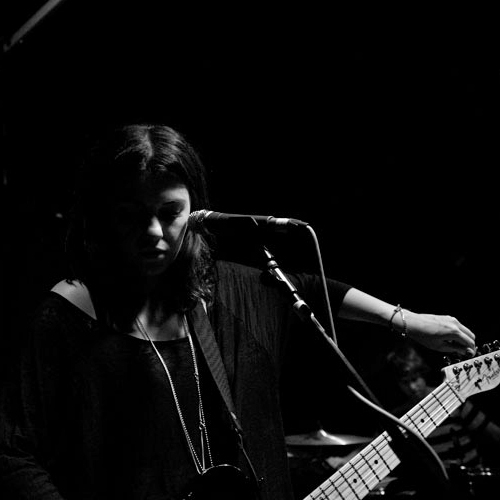 Through disaster and dismay, Blood Red Shoes have emerged reinvigorated. Every incident has fed into a record of defiance and self-acceptance. Knowingly embracing the tragedy of their movements, and the clarity at the end of such woe – they even laugh at the very idea of having a picture of themselves on the cover – GET TRAGIC is a total reimagining of the Blood Red Shoes you might think you know. Swervedriver are an English alternative rock band formed in Oxford in 1989 around core members Adam Franklin (vocals, rhythm and lead guitar) and Jimmy Hartridge (lead guitar). Between 1989 and 1998, the band released four studio albums and numerous EPs and singles despite a considerable flux of members, managers, and record labels. By 1993 the band’s lineup had settled with Franklin on vocals/guitar, Hartridge on guitar, Jez Hindmarsh on drums Micky Jones from 2011), and Steve George on bass. They had emerged with a heavier rock sound than their shoegaze contemporaries, and over the next five years it evolved to include elements of psychedelia, classic pop, and indie rock. In 2008, the band reunited for touring purposes. They released their first new single in fifteen years in September 2013, and their first full-length album in seventeen years in March 2015. When Steve George was unable to perform at some of the band’s March 2015 US shows, Mick Quinn formerly of Supergrass acted as a fill-in bassist. 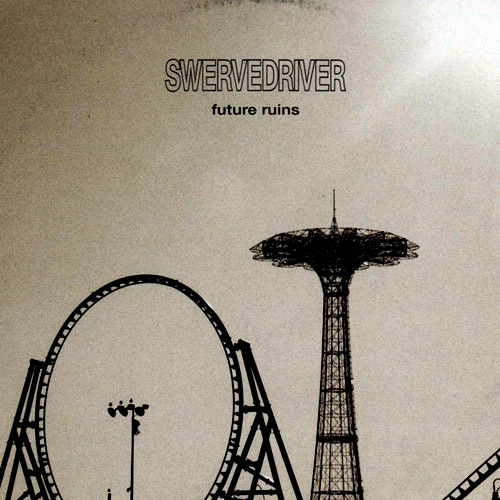 As of 2018, Quinn is listed as a permanent member on Swervedriver’s website and 2019 album, Future Ruins. “In ‘Mary Winter’ (the album’s opening song), the character is a spaceman who’s trying to remember what life is really like,” vocalist/guitarist Adam Franklin says of the new track. “There’s a lot of foreboding with regard to the future on this album.” Listen to its breathless, relentless drum rhythm with a curtain of jangling guitars and vocals struggling under their sonic weight, as an opening rocky gambit it’s got to be right. By sharp contrast the more defined sounds of the next track ‘The Lonely Crowd Fades In The Air’ offers rapid respite but a distinctive sound signature is emerging to distinguish the band. Up to this point there is melody lurking below the surface struggling a bit to emerge. ‘Future Ruins’ is much slower and clearer with interesting chord changes and nice guitar riffs. The distant vocal and electronic NASA sounds add atmosphere and drama. ‘Theeascending’ Repeats the trick albeit with stronger melody while ‘Drone Lover’ takes on a more traditional rock sound with the most effective multi-layered vocals on the albums adding an attractive touch. ‘Spiked Flower’ slows the vocal to almost taking pace with guitars again supplying the dominating instrumental backdrop in an overall muddy soundscape. ‘Everybody’s Going Somewhere and No-One’s Going Anywhere’ crwals along at snail pace dominated by another batch of instrumentals with the whispering vocal just audible. It’s an interesting track which reflects the song’s rather cryptic title. ‘Good Times’ is the penultimate song with the best melody and this time with drums leading the race to the finishing line. ‘Radio-Silent’ ends the album on a pensive, down-tempo note with subtle instrumentation prominant and thge occasional vocal punctuation. Fans of the band will find much to like here but I’m not wholly convinced and feel that a live performance could be much more interesting.